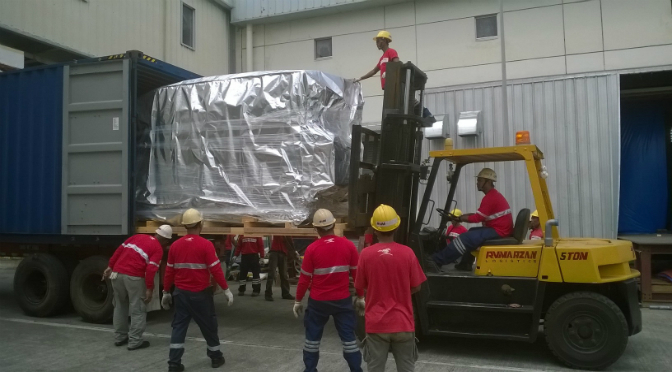 Project Cargo handling is one of the most complex transportation service requiring special expertise & experience. Our Project handling division is an added product in the range of services we offer, having all the professional & infrastructure capabilities for managing total logistics in Project Cargos. We routinely handle Project Cargo within the oil & gas, construction, energy, maritime, mining and heavy machinery industries which also includes engines for maritime and shore side use and terminal equipment. We have the ability to handle your complex transport logistics, whether it is cargo shipped as Break Bulk (BB), Heavy Lift (HL) or Out of Gauge (OOG). For Lakhani Logistics – No Load is Huge Load and No Job is Highly Complex. From the selection of equipment to cargo loading, securing, & unloading activities including; determination of jurisdictional weight and size restrictions, relocation of utilities and obstacles etc., we manage the entire job in one window operation.